Untold: Has Britain Produced a Podcast to Rival ‘Serial’? The United States has historically been the scene of a number of vicious and despicable Transatlantic copycat crimes- among them the US adaptations of The IT Crowd, The Inbetweeners, Top Gear– all fairly universally rubbished as poor imitators. However now we come to the case of a transatlantic tribute which runs the opposite direction: Untold: The Daniel Morgan Murder is a true crime podcast in the vein of smash hit Serial but based around what it bills as “the most investigated crime in British history”. So is this riff a case of The IT Crowd US, a pale, commercial-minded imitation, or a case of VEEP, a brilliant nod to its inspiration chock full of its own unique flavours and textures that can be enjoyed in their own right? I’m inclined to lean toward the latter. 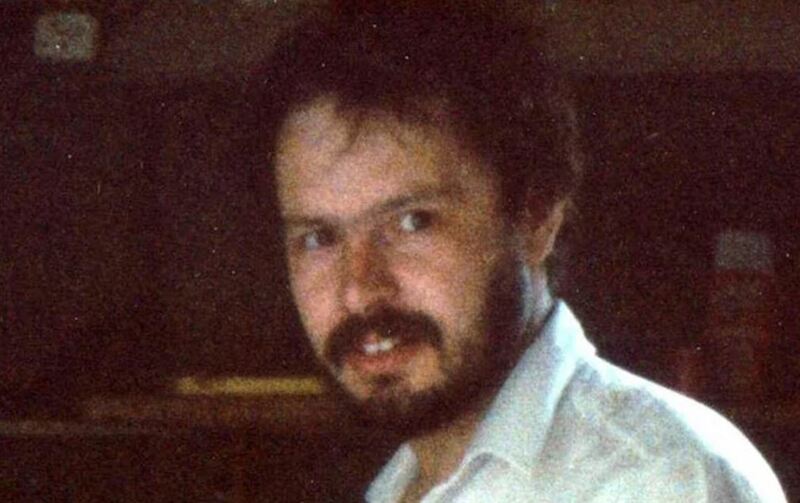 The podcast tells the story of Daniel Morgan, a private investigator who lost his life in a brutal axe murder in London in the 1980s. The story follows a similar format to Serial in that it first gives us the basics of the story and then telescopes out to the niggles and complications that make the case so compelling. Morgan was the co-founder of private investigations agency Southern Investigations and on 10 March 1987 was murdered in a pub car park after meeting with his investigative partner Johnathan Rees. The murder has been the subject of numerous inquiries and investigations but has never been satisfactorily resolved. Untold is far from just a straight retread of Serial though and it is precisely its confidence in its own resolutely British setting and tone that makes it so very unique and compelling. This is a murder mystery that is very much “souf London” and is not afraid to wear that fact on its sleeve. One of the things that actually makes the show almost more compelling that its NPR progenitor is the way in which it wraps out the troubles and concerns of the wider nation and age into this individual act of violence. Serial was tightly focused on the case of Adnan Syed although, in considering his conviction, did pay some lip service to the role that anti-Muslim sentiment may have played. Untold is fascinating because, while the case itself is brutal and absorbing, even more fascinating is the fact that, trundling along the background, one can almost hear the echoes of miners’ strikes and National Front marches. Most interestingly the whole thing is obscured and constrained by the shadowy tendrils of police corruption and shady journalistic practices. Allegations fly surrounding “bent coppers”, drug smuggling and press misinformation campaigns, made all the more interesting because the whole cover up surrounds police collusion with the News of the World, the Rupert Murdoch organ that would later implode with the phone-hacking scandal and the Leveson Inquiry. This is not only the story of the mysterious murder of Daniel Morgan, but equally the story of the shadowy collusion in Britain in the 1980s between the forces of justice, the press, commerce and politics; the ramifications of which are still perfectly evident today. In places the podcast falls down, but they are really only still stumbles and primarily technical in nature. The score is nowhere near as catchy or iconic as Serial’s and at times it even seems a little bit boisterous and intrusive. In places the sound design, editing and narration can have something of an over-produced and stilted grandiosity about them. The narrator, Peter Jukes, doesn’t quite have the warmth and informal eloquence of Serial’s Sarah Koenig and some choppy editing can make some of his weighty pronouncements come off as almost chuckle worthy at times. Regardless of these minor hiccups, Untold is a must-listen podcast. It tells its story with aplomb and ties together the various strands of the investigation as well as the atmosphere and culture of the period that it has value as a piece of archaeology as much as a true-crime thriller. With a little bit of polish I can see it not only matching Serial but, provided a punchy conclusion, surpassing that hugely popular podcast. In any case this is one to capture your ears and your minds over the coming months. David O'Donoghue is a freelance journalist and author from Co. Kerry, Ireland. His journalistic work has appeared in the Irish Independent, Film Ireland and Whatculture and his literary work has been accepted by The Runt Magazine.